The government recently issued advice on passport renewal should there be no Brexit deal. Although there is no certainty of this, with a lack of clarity to the official position we feel it appropriate to pass their information to you. Based on the current information you have provided us relating to your forthcoming holiday, it appears that this advice may be relevant to your travel in the case of no Brexit deal. 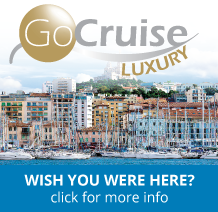 We would suggest reviewing your current passport dates of issue and expiry relative to your date of travel. You may wish make a choice, based on this information, to whether you take any action to renew your passport in advance of your holiday. 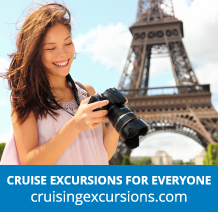 Book your shore-excursions, spa treatments, check your cruise details and check-in for your cruise online by clicking on your cruise line below. All British passengers must have a full British Citizen passport which is valid for at least 6 months after the date of return. If a new passport is required, this should be applied for in good time prior to departure. All non-British passport holders must ensure they are in possession of a valid passport and visa (if required). Visas may be required for certain destinations, however the responsibility lies solely with the passenger to obtain these. Further information can be found online www.ips.gov.uk or www.fco.gov.uk. All visitors to Turkey will be required to purchase their entry visa via the Turkish Government website www.evisa.gov.tr prior to travel. It is a requirement that all passengers are covered by appropriate travel insurance for the entire duration of the holiday. It is a requirement that all passengers are covered by appropriate travel insurance for the entire duration of the holiday. Please contact our preferred insurance partner Holiday Extras on 0871 360 2742 or log on to www.insurancereferrals.co.uk, you will need to contact your booking agent for your unique booking code. Passengers must check with their GP for current health requirements for their relevant destination(s). Further information can be found online www.dh.gov.uk/travellers. Prescribed Medication: Consult your GP at least 2 months prior to travel to confirm if any special arrangements are required. From 15 March 2016 visitors travelling to Canada by air will be expected to get an electronic travel authorisation (eTA) to enter Canada. Note: Until 29 September, 2016, travellers who do not have an eTA can board their flight, as long as they have appropriate travel documents, such as a valid passport. During this leniency period, border services officers can let travellers arriving without an eTA into the country, as long as they meet the other requirements to enter Canada. Exceptions include U.S. citizens, and travellers with a valid Canadian visa. Canadian citizens, including dual citizens, and Canadian permanent residents cannot apply for an eTA. The Canadian government strongly advises all dual nationals to enter Canada using a valid Canadian passport. For more information about the eTA system, and to apply online visit www.cic.gc.ca/english/visit. The authorisation is electronically linked to your passport and is valid for 5 years or until your passport expires. Whilst the majority of car hire providers have indicated a passcode is not required, some car hire partners have advised that they will be asking UK customers to present the new one-off passcode when collecting their vehicle. We would highly recommend that all guests hiring cars obtain the passcode from the DVLA www.gov.uk/view-driving-licence. You will require the following information: Driving Licence Number, National Insurance Number, Postcode. Please note: passcodes will only be valid for 21 days and guests hiring cars will need to collect their car hire within 21 days of generating the passcode. Passcodes are for one time use only.